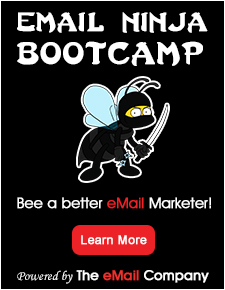 One of the most effective tools that you can use in your online business is an email marketing newsletter. Used correctly, this newsletter can bring you a high number of potential customers by increasing your subscriber base. Bear in mind that you need a lot of customers if your business is to stay afloat. In addition, you also need to build a good relationship with your existing client base. A successful email marketing newsletter is the one which will help you to increase your customer base and also help you to develop a strong bond with the ones who already exist. When creating an effective newsletter, you should know that your customers only want to see information which is useful to them. Aspects to do with the company history and your personal profile should be left out of the newsletter. Know that your customers only want to see what value you can add to their lives. Therefore, only stick to products and the value that those products will add to your clients. In order to create a successful newsletter, the following points should be borne in mind. When you send the newsletter to your clients, the first thing that they are going to see is the subject line. The impact this important part of newsletter will have on them will depend on how catchy and interesting it is. Therefore, come up with a subject line that generates curiosity and gives the customer a glimpse of what he is going to find inside the newsletter. The higher the curiosity you arouse in the customer, the more likely he is to open and read the rest of the newsletter. Many business people make the mistake of writing an email marketing newsletter in a very formal tone. 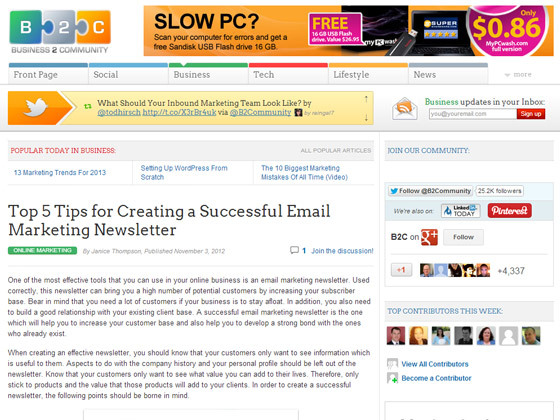 This makes your newsletter appear as an advertisement and drives the customer away from you. If you want to produce a killer email marketing newsletter, ensure that you write in a way that appeals to the client. Write as if you are talking to him or her face to face.